#1 iPhone PAID APP in Brazil, South Korea and more! 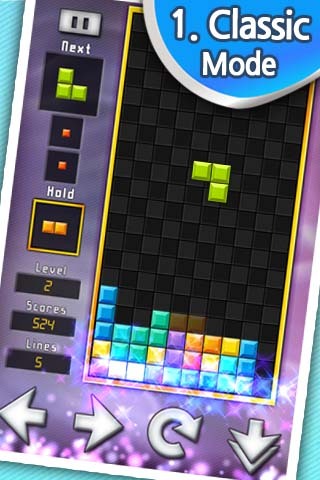 Forget about the same old Tetris! 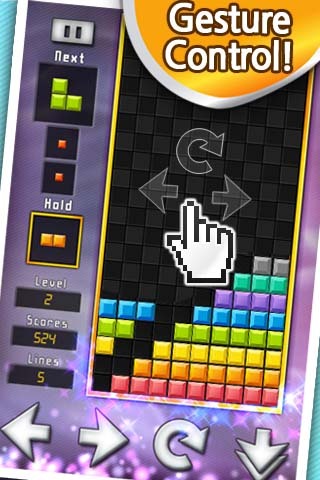 This game is more advanced and more fun block-breaking game known as "Brix". 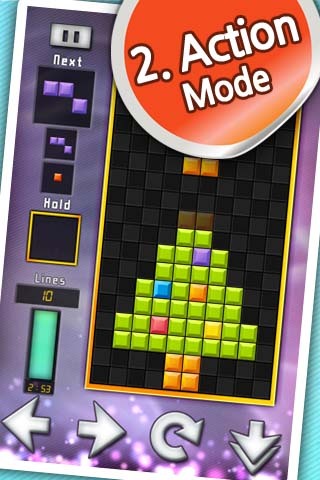 Don't you get tired of the same old I, J, L, O, S, T and Z pieces with the same rules from Tetris? Brix is totally different, more fun and exciting. Meet Brix at Appstore Now!! The secret of the single unit block! This tiny, single block can pass through other blocks covering up the empty place that you missed in a line. Try it yourself for this unique feature!! Hold Function: Have no right shape to place the next block? Try pressing the Hold button on the left of the screen. The current block will be replaced with the next upcoming block, putting it on hold. To change what is on hold, simply press the Hold button again to replace what was on hold. Do you feel bored for having only one type of mode? Do not worry, Brix provides Classic Mode and Action Mode where there are total of 80 unique maps!!! 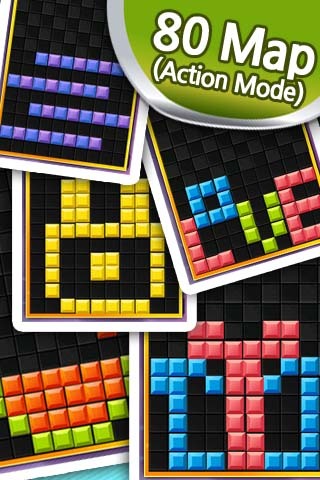 Does not use conventional Tetris pieces!! Provides much more unique shaped pieces as you reach higher levels. Want to preview the upcoming blocks? Yes! Brix offers preview feature, up to three upcoming blocks. Plays ultraclean and melodious exciting game sounds. Provides 2 user-friendly approach to control the block which can be used simultaneously! Easier, Simpler and more streamlined user interface. You can listen to your playlist songs while playing Brix. TRY FREE VERSION! Brix! HD Free! !